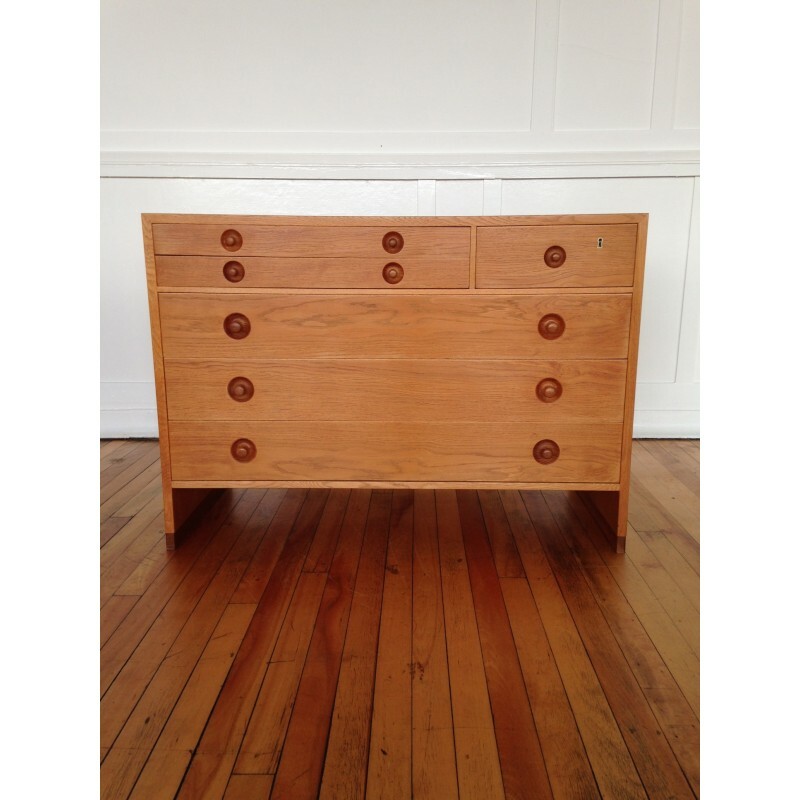 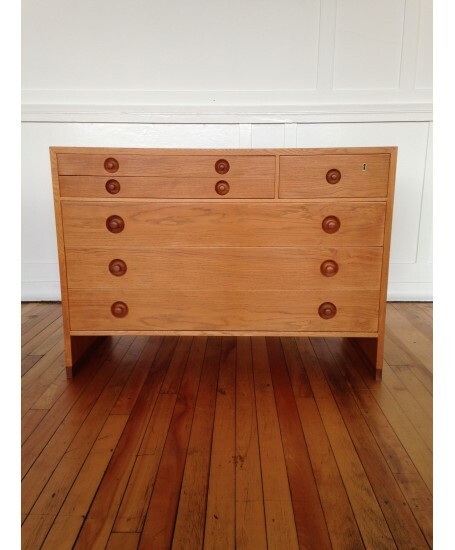 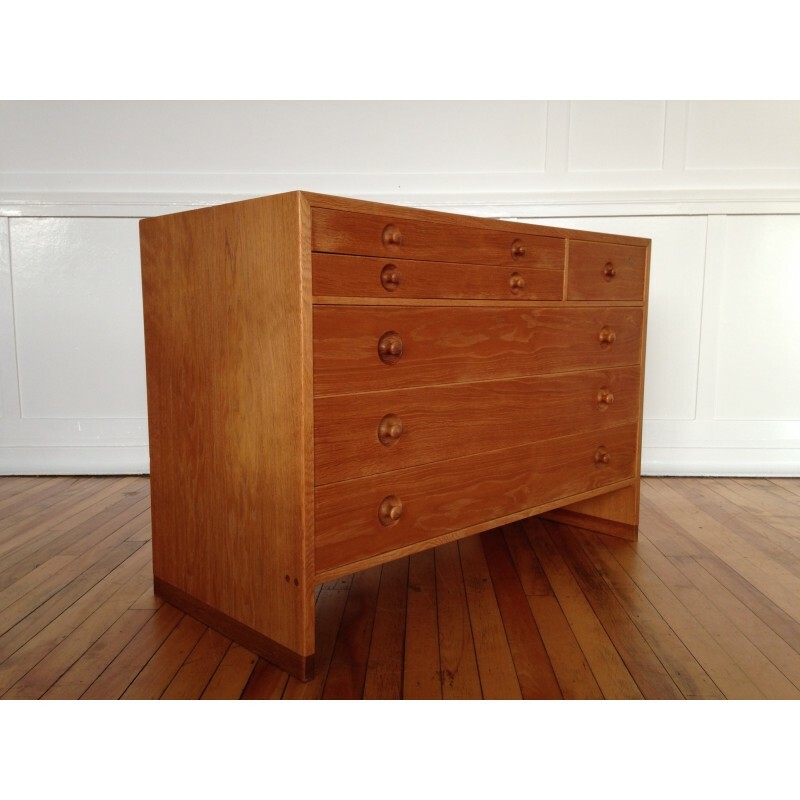 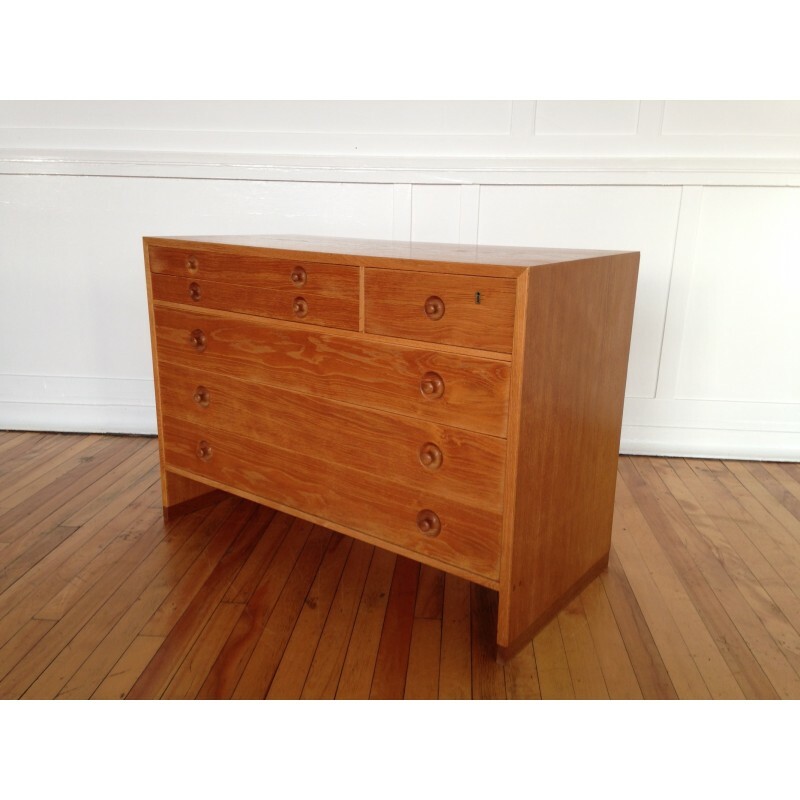 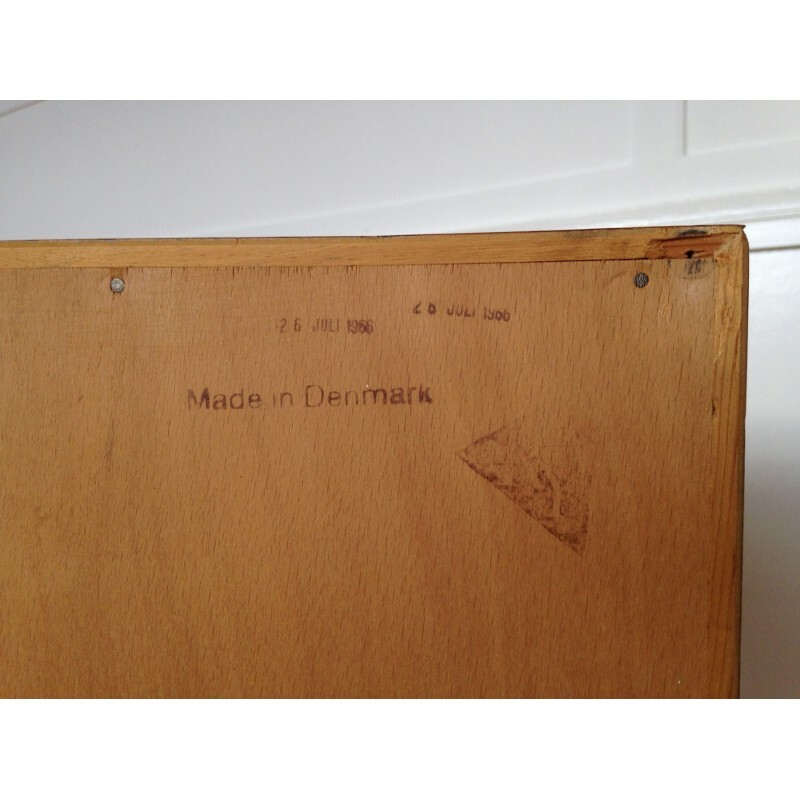 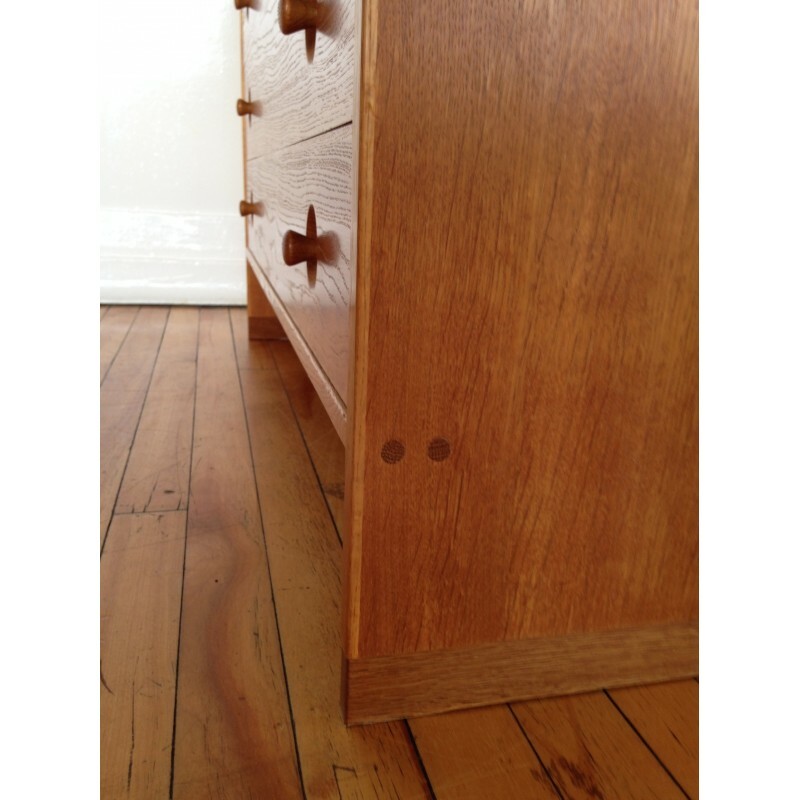 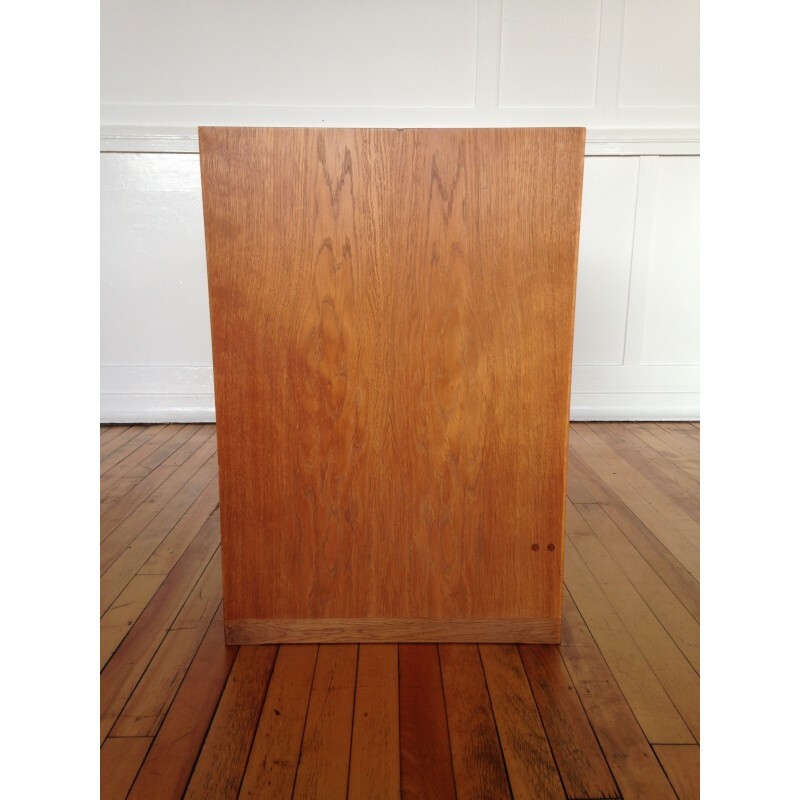 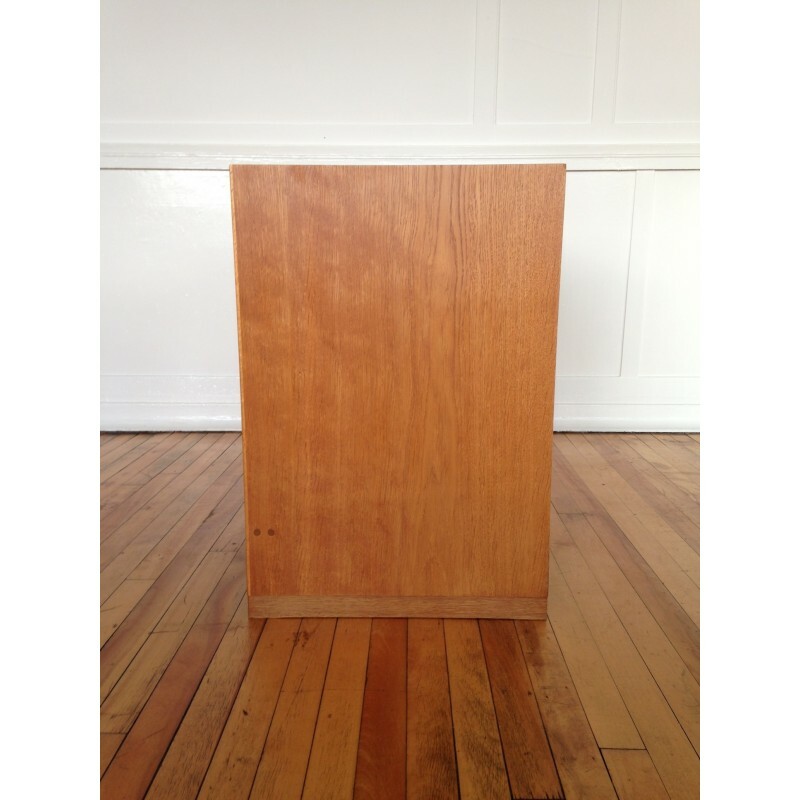 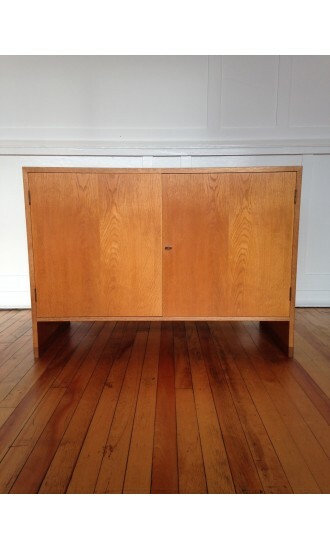 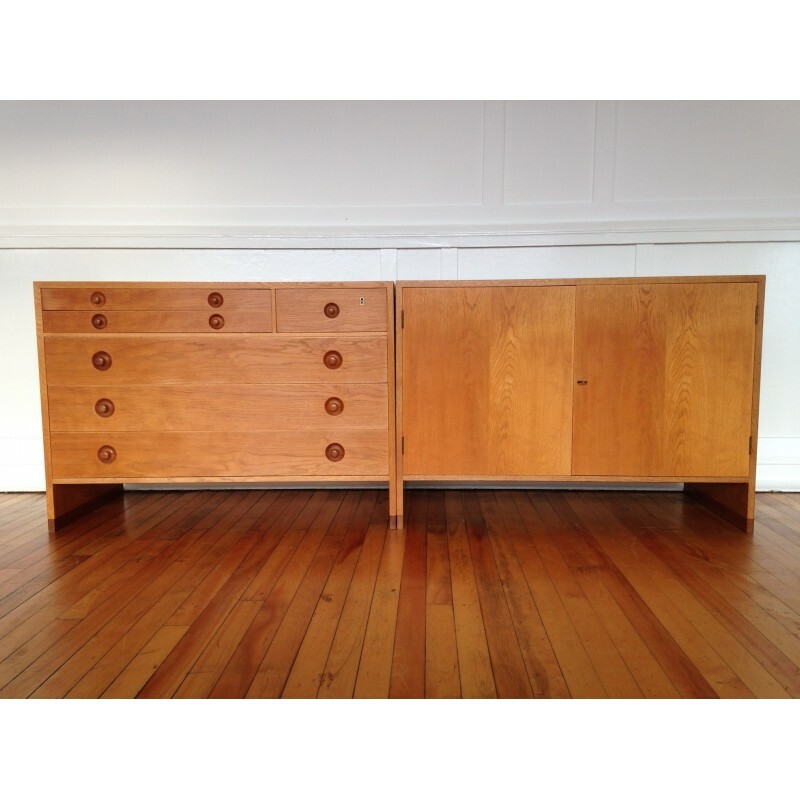 A beautiful oak chest of drawers/dresser designed by Hans Wegner for Ry Mobler, stamped 1966. 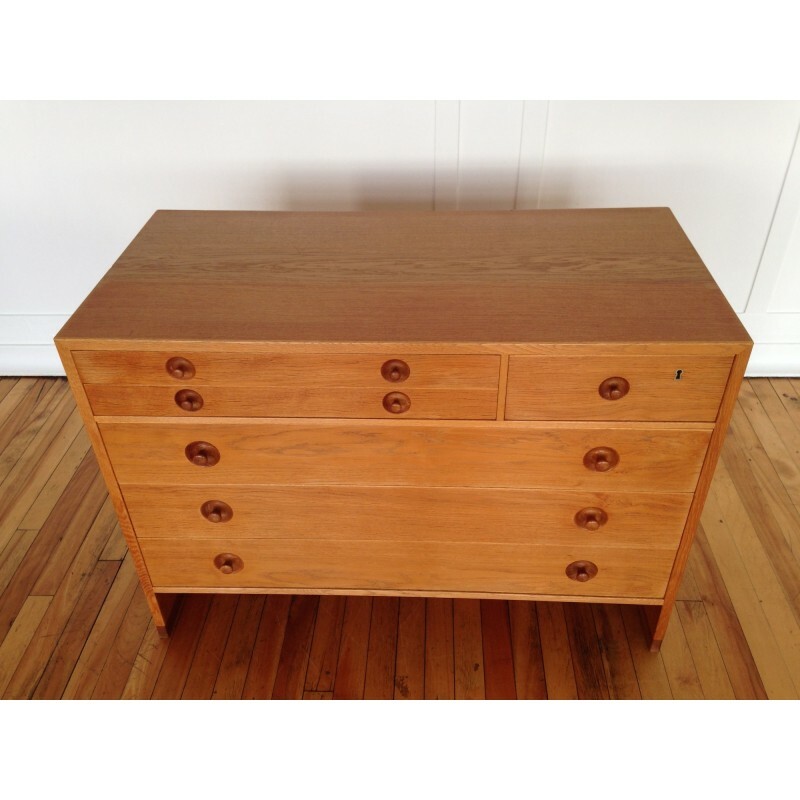 The chest is in very good vintage condition. 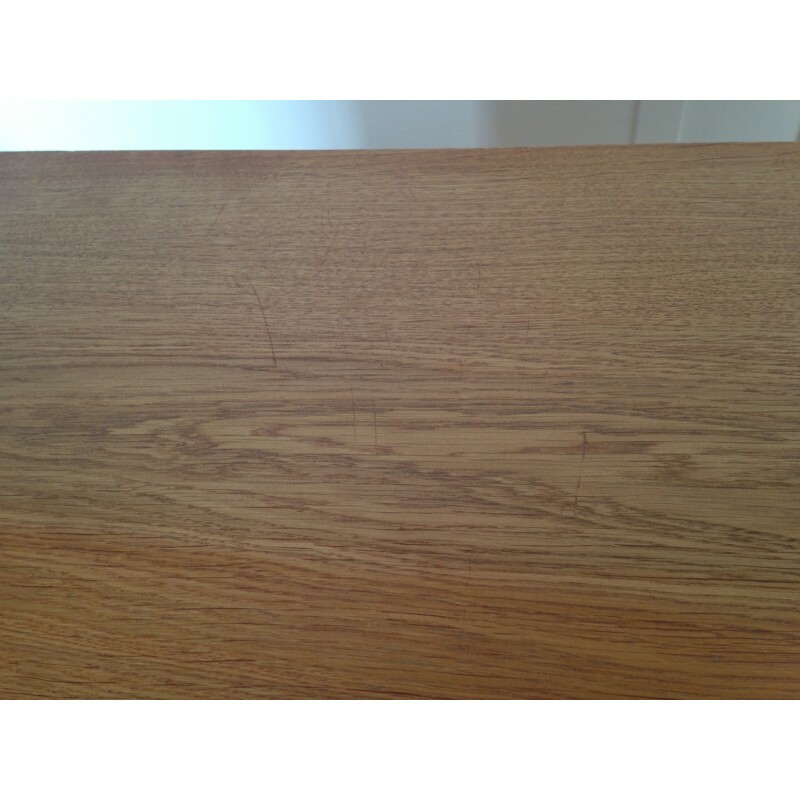 There is some colour variation and a handful of scratches to the top, but nothing that detracts from the overall beauty of the piece. 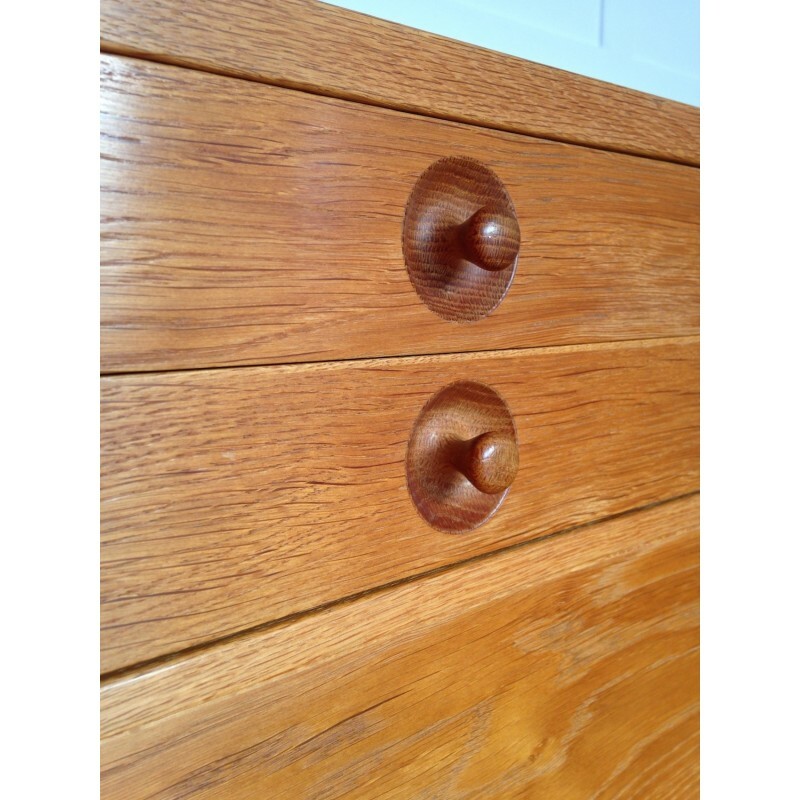 Generally the oak is a lovely colour and has stunning grains. 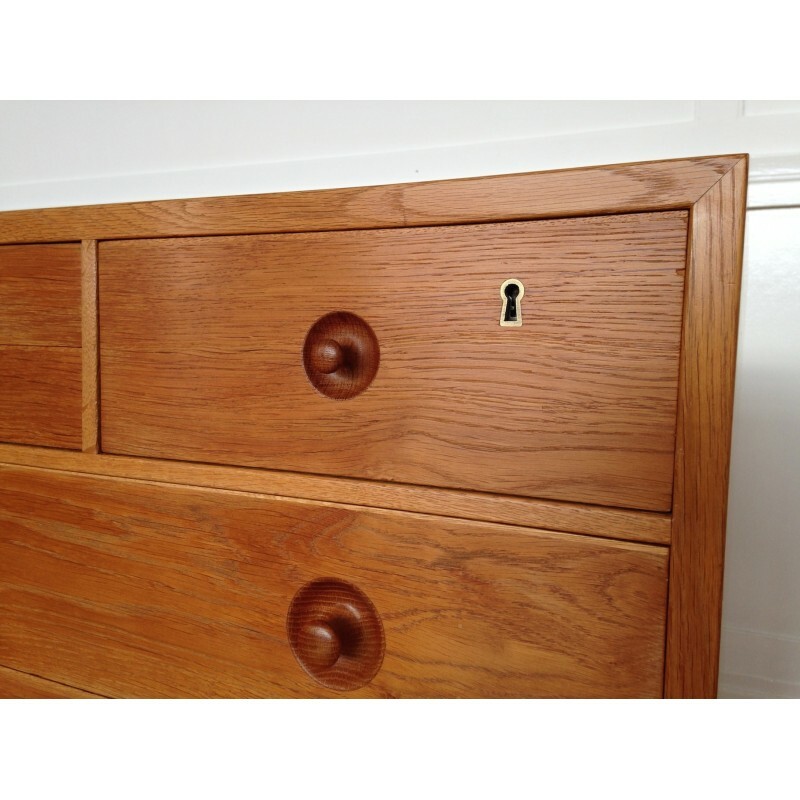 The original lock and key for the top right hand drawer is present and working, and the top two drawers have the original green felt lining which are in excellent clean condition.